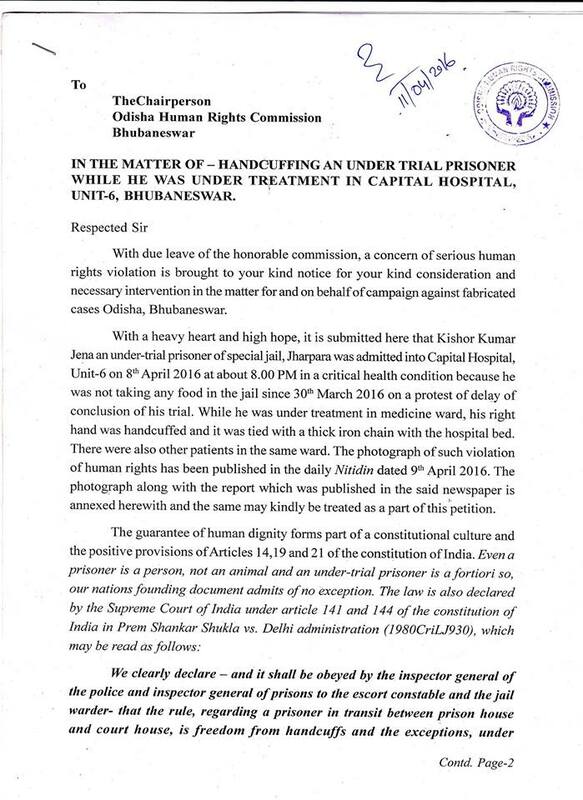 Bhubaneswar: Police on Monday refused to allow a group of civil society members to meet three undertrial prisoners, who are undergoing treatment at the SCB Medical College and Hospital in Cuttack after their condition deteriorated due to indefinite fast. 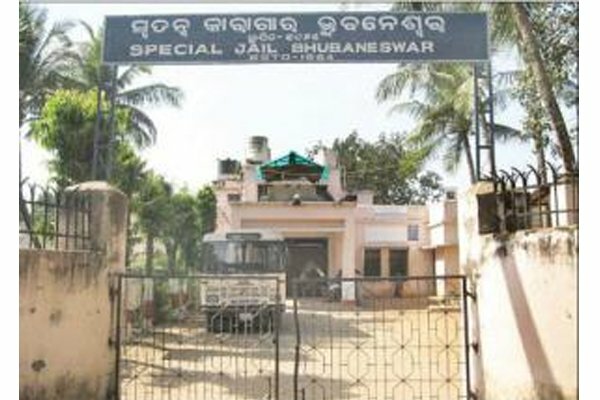 The prisoners had begun the fast in the Jharpada Special Jail here on March 30 demanding expeditious trial of their cases. 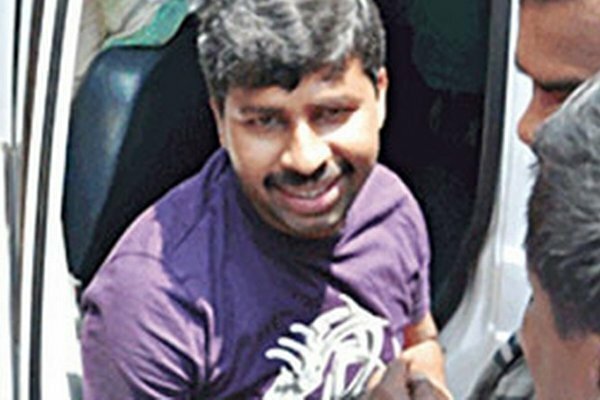 They and four others were arrested in connection with the February 15, 2008, Maoist attack on police stations and looting of armoury in Nayagarh in which 14 policemen and one civilian were killed. 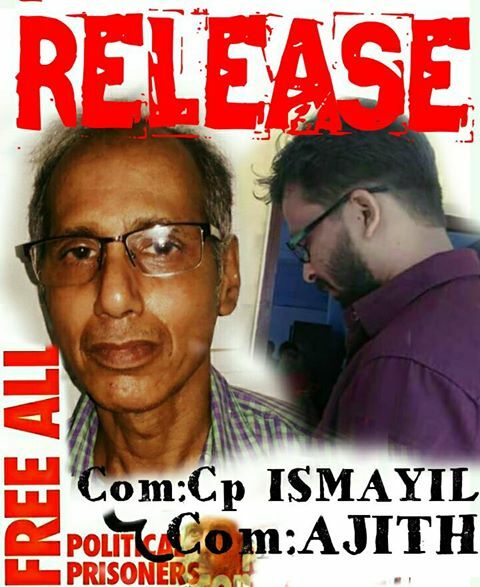 RELEASE ALL THE POLITICAL PRISONERS LANGUISHING IN VARIOUS JAILS IN ODISHA FOR YEARS TOGETHER WITHOUT ANY TRIAL SOLELY DUE TO THE DELIBERATE DELAY INDULGED IN BY THE PROSECUTION! 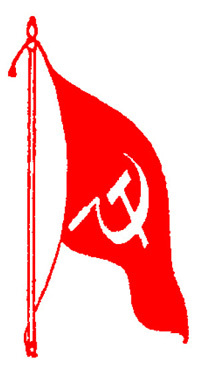 POLITICAL PRISONER STATUS TO ALL POLITICAL PRISONERS! PUNISH THE OFFICERS RESPONSIBLE FOR THE CRIMINAL DELAY! 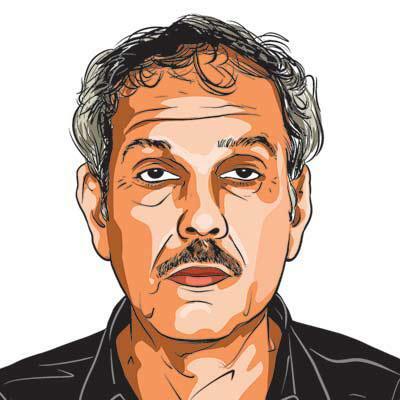 CONSITUTE AN IMPARTIAL JUDICIAL INQUIRY INTO SUCH WIDESPREAD INSTANCES OF IMPUNITY IN ODISHA, CHATTISGARH, JHARKHAND, WEST BENGAL, BIHAR, DELHI, JAMMU & KASHMIR, KERALA, KARNATAKA! 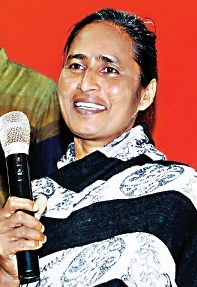 GUNTUR: Arrested Maoist leader Bhutham Annapurna has said that she had no intention of surrendering before police and is still drawn towards revolutionary ideology.